33 LISTS Game NightRanking the best board games and card games for fun interactive competition with family, friends, and future frenemies. List Rules Vote up the best stunts from the company. When it comes to promotional marketing, most companies tout their products' appeal, blast out extensive advertising campaigns, and offer lower prices or limited-time deals. The folks over at Cards Against Humanity don't follow traditional marketing campaigns, though. In fact, the best promotions from Cards Against Humanity subvert all typical sales campaigns. Through wild stunts and seemingly counterproductive promotions, CAH has instead chosen to troll their audiences. The results are as glorious as their hilariously offensive cards. It would be too easy to dismiss the Cards Against Humanity stunts as just that: stunts. There is always a deeper purpose or message with each campaign, though. You may have to dig a little to make sense of it but CAH is often saying something important about the nature of consumerism, the state of our politics, or the inanity of the border wall. Perhaps buyers need to be trolled and perhaps CAH is the perfect company to do it. Read on for some of the most unforgettable times Cards Against Humanity trolled their players or pulled a hilarious publicity stunt. Black Friday isn't the only day reserved for the Cards Against Humanity company's razor-sharp social commentary. The Super Bowl has also been the target of a bizarre promotional campaign from CAH. The company purchased a 30-second commercial spot to be shown during the 2017 game. 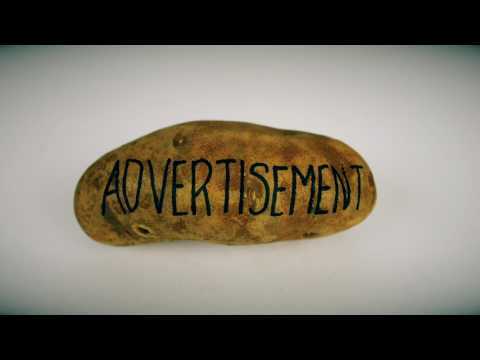 The ad was just 30 silent seconds of a single, unmoving image: a potato that had the word "advertisement" scrawled on it. Cards Against Humanity later said that the campaign was a failure but like any statement released by CAH, it should be taken with a grain salt. "We spent so much time selecting the right potato for the ad that we never stopped to question whether a potato would convey the essential brand experience of Cards Against Humanity." In a country where most consumer goods are made overseas by underpaid, under-supported workers, Cards Against Humanity's decision to buy out their Chinese factory for a week was refreshing. In 2016, they purchased their manufacturer's entire production capacity for seven days, giving workers a much-deserved vacation even though they are already paid fair wages. "This doesn't undo the ways that all of us profit from unfair working conditions around the world, but it's a step in the right direction," CAH said. Once again, CAH trolls us by doing something good with our money Many companies could stand to learn from their business model. On September 26, 2018, Cards Against Humanity decided that hacking elections "seems easy enough" and opted to add their sway to the 2018 midterms. The people behind the card game picked six districts they believe they can help "flip from red to blue." If a player goes to the site Cards Against Humanity Hacks The Election, they can buy a Midterm Pack for $5. If you know someone who lives in one of the Congressional Districts the Cards folks are trying to flip - California's 25th District, Iowa's 1st District, Illinois's 6th District, Illinois's 14th District, Kansas's 4th District, or Texas's 26th District - you can enter their address and both you and your friend can receive a Midterm Pack for free. All of the proceeds from the purchased packs go to Run for Something, a nonprofit focused on "recruiting and supporting young progressives." Cards Against Humanity's charitable efforts didn't begin or end with the seven-day paid vacation they offered to their Chinese employees. The company has given thousands of dollars to various charities over the years. Among the most notable was their funding of nearly 300 public school programs and their yearly, full-ride scholarship for a woman pursuing a STEM career. Acts like this may be ultimate in trickery. You think you're giving money to some silly organization that's only going to spend it on themselves. In reality, the company uses your money to positively impact the world. Way to troll, CAH.